The RCMP officer who was in charge at the scene of Justin Bourque's deadly shooting rampage in Moncton, N.B., on June 4, 2014, testified Wednesday he knew his members were in trouble as soon as he heard the rapid gunfire. 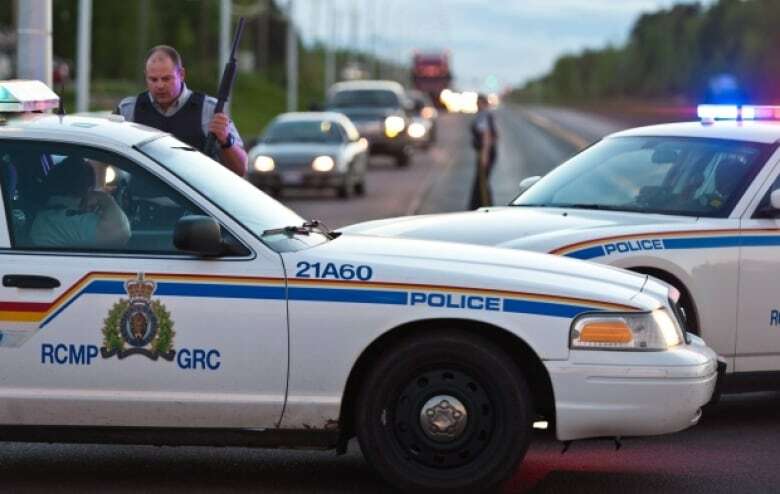 The RCMP officer who was in charge at the scene of Justin Bourque's deadly shooting rampage in Moncton, N.B., on June 4, 2014, testified Wednesday he knew his fellow Mounties were in trouble as soon as he heard the rapid gunfire. Cpl. Peter MacLean said he remembers thinking, "Oh God, he's got an automatic." "We were severely outgunned," he said. 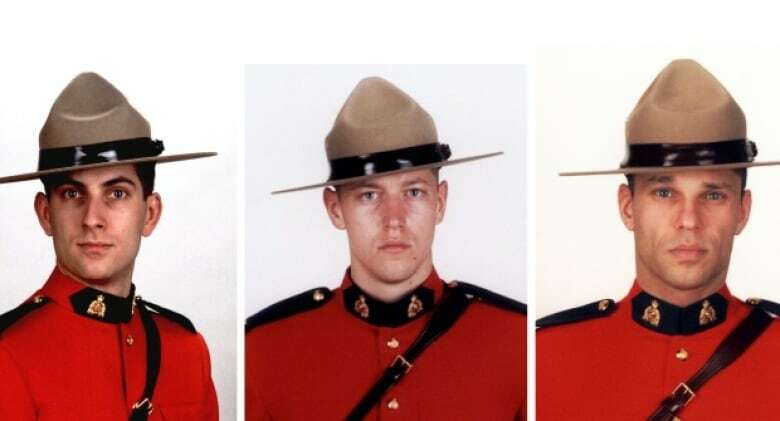 The RCMP is on trial in connection with the shooting deaths of three officers that night and the wounding of two others. At the time of the shootings, Bourque was armed with an M305.308 semiautomatic rifle and a Mossberg 500 12-gauge shotgun. The Mounties had handguns. MacLean described the slaughter he encountered when he arrived at the scene in the city's north end shortly after 7 p.m. He said he found Const. Fabrice Gevaudan face-down on the ground. When he rolled him over, he saw he'd been shot — one round through his vest — and wasn't breathing. MacLean moved on through the residential neighbourhood, searching for the shooter, and spotted Const. Dave Ross on the ground. Another officer signalled he too was dead, he said. As he continued on between the houses, MacLean noticed Const. Martine Benoît trapped in her shot-up car and he heard over the police radio that another female officer had been shot. 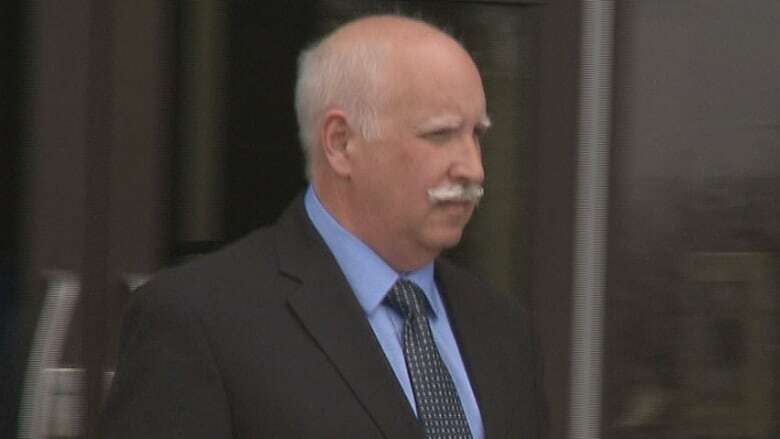 "Call [the emergency response team], we're going to need everything we got," MacLean said in a choppy recording of police radio communications played for the Moncton courtroom Wednesday. "Keep cover guys," he urged. "We're heavily out-armed." 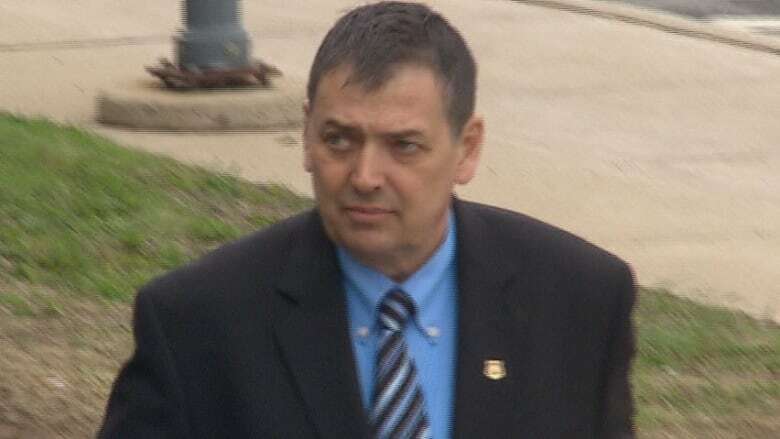 MacLean testified he knew Bourque's weapons were more powerful. "He could hit us before we could reach him with our weapons," he said. Officers didn't have shotguns because "the spread pattern is unreliable in an urban environment," he said. They were worried about civilian casualties and wanted curious onlookers off the streets. "As best you can, set a perimeter around Ryan Road," MacLean instructed his officers over the radio. "We don't have the artillery for this." Someone on the recording offered to bring a rifle with a scope. "Whatever you can get," MacLean replied. Under extreme circumstances, Mounties can use non-issue weapons, he testified. MacLean, a 32-year veteran, said he had "immediate action rapid deployment" training prior to that night, but no supervisory component or other relevant courses. He relied on his experience, he said. Now, tactics training is provided, and he just finished a critical response training last week, he said. There is also training for the new carbines — high-powered, short-barrelled rifles with a longer, more accurate range than pistols or shotguns. During cross-examination, defence lawyer Mark Ertel argued it was an unusual police shooting. Normally, shots are fired and the suspect tries to escape. "It was new for sure," replied MacLean. He agreed he would have done most things the same way today. Earlier on Wednesday, Day 12 of the trial, Benoît had testified about rushing to respond to the reports of shots being fired, only to find herself under fire. She said she tried to call in that her shot-up vehicle's "engine was gone" and she was pinned down, but wasn't sure if the message was heard. "It was a chaos situation." Benoît said the initial call was about an armed man dressed in camouflage walking the streets of the residential neighbourhood. Then she heard over the police radio that shots had been fired. "When I heard that, I stopped what I was doing," she said. Benoît didn't know if anyone had been shot, but she said she heard an ambulance being called and assumed someone was injured. She headed to the scene at Hildegard Drive and Mailhot Avenue with her cruiser lights and siren on, when a man waved her down to say the suspect went into the woods. Benoît recalled sitting in her cruiser with her hand on the door as she considered what to do. She decided to wait for backup, she said. That's when the hail of bullets started. The shots were coming from the front of my vehicle," she said. "I could see smoke." She ducked down and tried to put her vehicle in reverse, but it wouldn't move. Benoît didn't know how many shots were fired. It sounded like a lot, she said. Const. Eric Dubois responded to her radio call for help and drove up behind her. They both got out of their vehicles and took cover behind Dubois's vehicle, guns drawn, she said. He told her Gevaudan was dead. Dubois was upset and wanted to get the suspect, she said. He peeked out from behind the vehicle, trying to locate him, and got shot. "I saw blood coming from his arm," said Benoît. Dubois ran toward the fire station; she stayed put and called for backup. Back at the station, Cpl. Jacques Cloutier, who was the acting sergeant overseeing the operation that night, got a call about Gevaudan. He was advised Gevaudan "was gone," he testified Wednesday. "Where did he go?" he remembered asking twice, confused. When Cloutier was told Gevaudan was dead, he said he was numb for about five seconds. Then he started calling his superiors, asking for a helicopter and a canine unit. It was shift changeover time, but Cloutier asked leaving members to stay on and dispatched everyone working to the scene. They were not briefed before being sent out, he said. "Just what was being said over the radio." It usually takes a few hours for the emergency response team to gather, gear-up and get to a location, said Cloutier. He does not recall any directions being given by senior officers, he said. 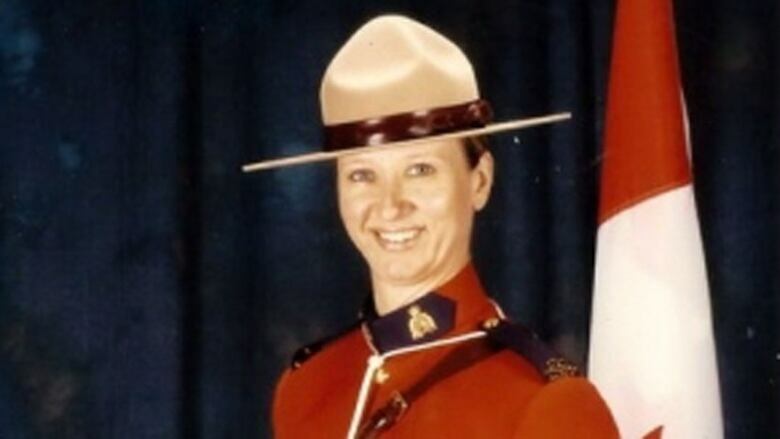 On Tuesday, the trial heard dramatic testimony from other Mounties who responded to the call, including Cpl. Darlene Goguen, who was shot by Bourque but survived. Goguen described the horror of being shot in the back of the head. She said it felt like "hot hot metal" on her skin where the bullet had punctured and blood was running down her neck. She was too scared to touch the wound, not knowing what she'd find, she said crying. Goguen, who also suffered injuries to her shoulder and had a bullet lodged in her vest, said she drove herself away from the scene, not wanting to endanger her fellow officers who had offered over the police radio to come help her. She also called her sister — just in case it was her last chance to talk to her family, she said. Justin Bourque is serving five life sentences with no chance of parole for 75 years after pleading guilty to three counts of first-degree murder and two counts of attempted murder. The labour code trial, which began on April 24, is scheduled to resume on Monday. Two months have been set aside.